!! OMG, how resourceful: Bic pen chandelier !! 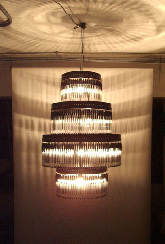 These chandeliers, made by enPieza! out of hundreds of clear plastic Bic pens, could be the most you ever pay for what amounts to a lot of disposable writing implements. 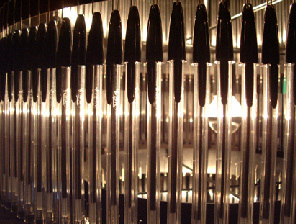 1 Comment on "OMG, how resourceful: Bic pen chandelier"
From a distance it almost looks decent (notice that I say “almost” – since it still looks plastic). I have to give them an “A+” for creativity though.